We are happy to announce the Preview Release of iFreeTools Creator, which was mentioned in our previous post (What's Cooking : iFreeTools "Brahma"). iFreeTools Creator is probably the first Google App Engine based online application builder. 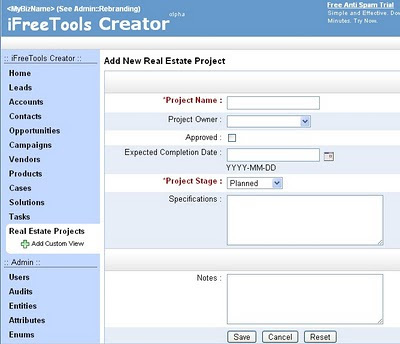 It provides users the access to iFreeTools Engine, which powers our Free CRM application. 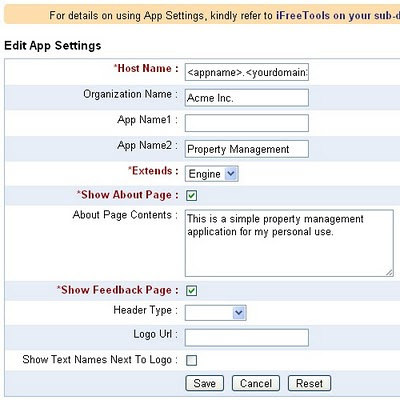 Let us see how to create a simple Property Management application using iFreeTools Creator..
First configure the App Settings under Admin to provide your Organization's name and the applications name. For our example, we will call Acme Inc.'s Property Management. 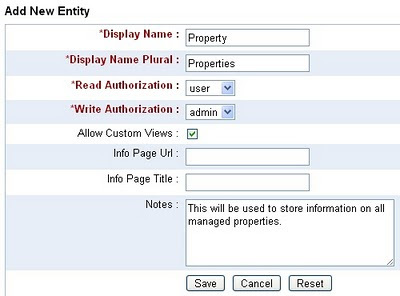 Now proceed to Entities module under Admin and click on Add Entity. You will get a form to enter the details, as given below. Provide details of Entity and save the record. Likewise we will create 3 entities Property, Owner and Tenant. The entities will get listed in the "Custom Entities" view as given below.. 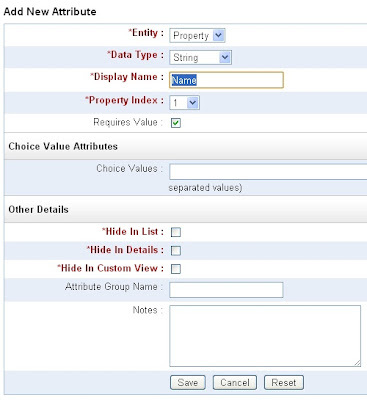 The Entity Index property defines the dependency and listing order. Now you can proceed to add the attributes for those entities. 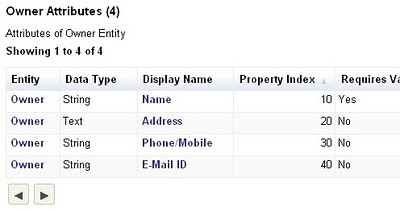 From Admin::Attributes, click on Add Attribute and fill in the form.. 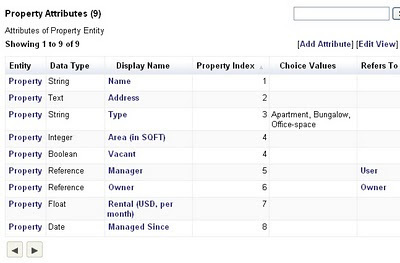 The Property Index decides the order of the attribute items in list, form and details pages. That is it. 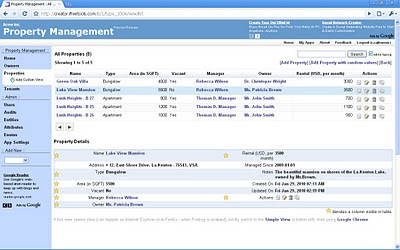 You can now start using the Property Management application. 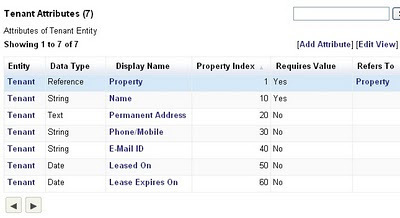 The below image shows the "Properties" view with sample data..
You can always customize it, as and when business needs change. Go ahead, play with the Online Application Creator for Google App Engine. We do have plans to add more features, including support for more data types, chart views like those available in our CRM application and more. And, we would like to hear your feedback too. You can either use the feedback form in the application or send a mail directly to raj@sahasvat.com. What's Cooking : iFreeTools "Brahma"
Few days ago, I had tweeted about starting work on iFreeTools "Brahma". For those who were not sure about what that meant, Brahma is believed to be the Hindu god of creation [wikipedia.org]. So it was iFreeTools Creator, the "Online BigTable Database Application Builder", for which work was started. 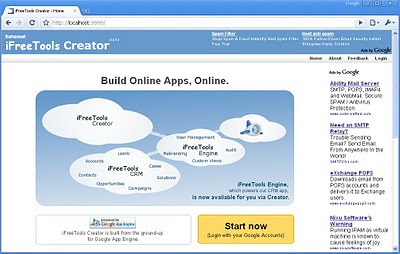 iFreeTools Creator is probably the first Google App Engine based online application builder. It gives users the access to iFreeTools Engine, which powers our Free CRM application. Below are some screenshots from iFreeTools Creator.. Currently in testing, the following screenshot shows a Custom Entity created for storing information on Real Estate Projects.. The application in the screenshot above uses the default CRM entities, but one might as well start from a clean slate. 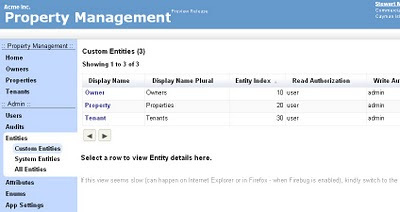 This feature (custom entities and attributes) will be rolled into the default CRM application as well, at a later date. So, that is what is cooking at iFreeTools. I am still working on alternate heading captions for the home page wordings and am also open to changing the image. Feel free to send in your suggestions to raj@sahasvat.com. Follow @ifreetools in twitter or add this blog [feeds] to your reader, for updates on iFreeTools Creator. 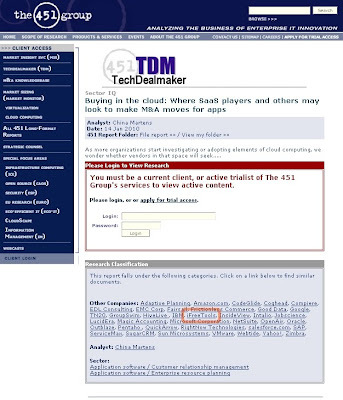 iFreeTools gets a mention in Sector IQ report titled "Buying in the cloud: Where SaaS players and others may look to make M&A moves for apps", by China Martens, dated 14 Jan 2010. This report is filed under the sectors..
Glad about being part of that report.